When I was classroom teacher, the author visits I appreciated the most were those that were a perfect blend of fun for the kids while being academically sound. One of my faves centered focused creating interesting characters. The author prepped me ahead of time, asking that I would have a stack of old magazines, glue sticks, and construction paper readily available for her follow up exercise. Man-oh-man! We had a blast! She left behind a mess of paper scraps, a classroom full of inspired kids, and coolio follow-up activities to keep us going for several days afterwards! Awesome!!! I work to create this same wonderful experience with each CCSS Aligned School Visit Document I create. I invite you to take a look at Margo Dill’s, just hot off the press! In it, you’ll find discussion questions and follow up activities designed to complement her fascinating school visit presentation, support the academic needs of the classroom, and get the kiddos jazzed about doing the research necessary to create their own great stories. Margo’s leaving the teachers with a ton of CCSS aligned Reading Literature, Speaking & Listening, and Writing lessons to work with. Those students and educators will be singing her praises long after she’s gone. 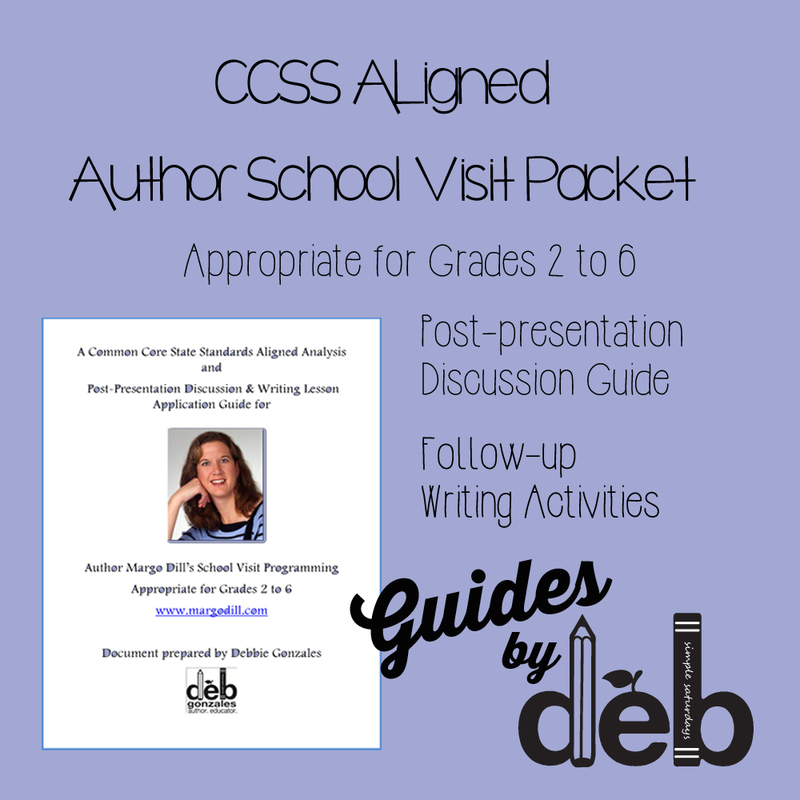 Click here to access author Margo Dill's CCSS Aligned School Visit Document. Have a look. Get inspired. Have a little bit of fun while you’re at it. That’s the best part!